we oWE OUr leading position in the market to our capacity to comply with the customers´ requirements! Our company philosophy is in fact very simple: we care about the customers' interests. We always focus on how best to respond to the changing demands of the market. How best to protect your products; how to reduce product losses and to shorten the cleaning and the downtime; how to identify cost saving opportunities and to achieve the best results with an efficiently sized staff. 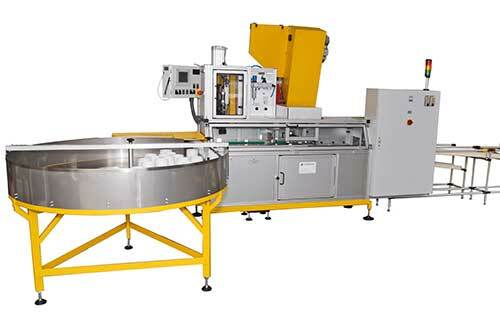 Throughout the world, SCHWERDTEL machines are increasingly becoming an industry measure when it comes to the filling and packing of pasty and high viscous products, whether using small, semi-automatic machines or fully-automatic lines working on a reliable 24 hour basis. Our customers' success makes us successful, and this in turn guarantees quality and innovation. This is only achieved by dedication to the needs of the client and continual Back up service. Today the SCHWERDTEL company, founded in 1929, counts the most successful and prestigious companies worldwide as satisfied customers. The reason being that the customer does not only get good equipment but exactly the kind of machine(s) which meet(s) his specific requirements, representing the most economic solution. Our lines are known for their shortest downtimes. However, should a machine failure occur, in spite of the high reliability, the SCHWERDTEL team responds immediately. About 90 % of all problems are solved over the telephone. Through innovation, precision, reliability and service Schwerdtel has become the market leader in "filling and dosing for pasty products" worldwide. We want to consolidate and expand this position! Through all our departments, we work in partnership and cooperative with each other for our customers. Innovation, quality, service and price in line: our services we offer our customers at a fair price. Our design and engineering services is rounded off by a recognized first class service and spare parts management. With a customer needs oriented equipment program and innovative special solutions, we help our customers worldwide. 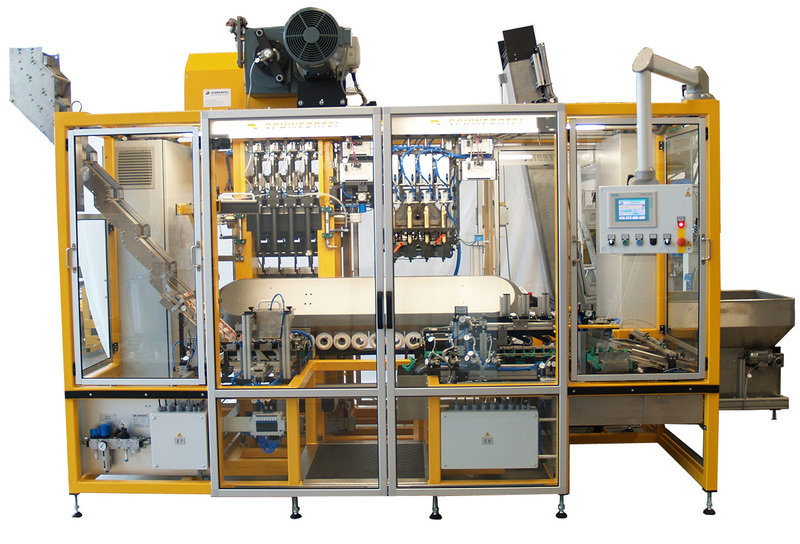 Though we build a few dozen machines a year - partly single units, partly whole filling lines consisting of various modules - there are hardly any machines that look alike. The reason being that the customer does not only get good equipment but exactly the kind of machine(s) which meet(s) his specific requirements, representing the most economic solution. During the planning of a new machine or line, we do not only take the customers present situation into account but also the possibilities for development. 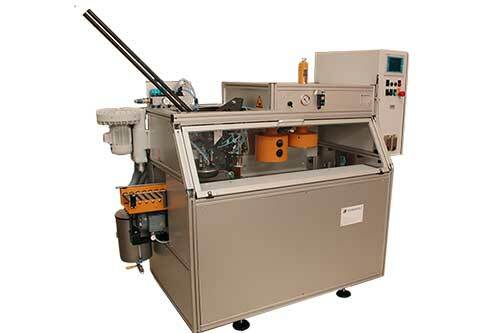 Our machines are therefore built in a way which makes it easy to expand and upgrade the equipment. 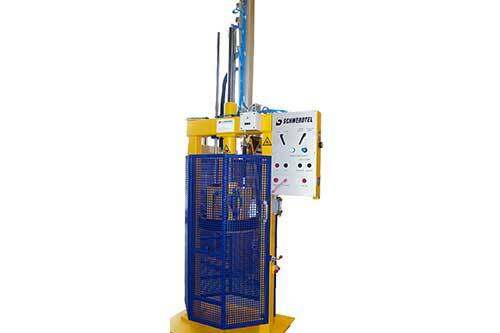 Investing in a SCHWERDTEL machine/ equipment is always a wise decision for the future. Though SCHWERDTEL machines are not standard machines, they have all one thing in common: through our quality management we make sure that quality is controlled at every level. At SCHWERDTEL, high quality has always been extremely important. For us quality is more than just meeting various norms. Quality also enhances the profitability of a filling line, the scheduled delivery and the best relationship with the customer. In other words, quality for us is synonymous with complete customer satisfaction.